Medium rug. 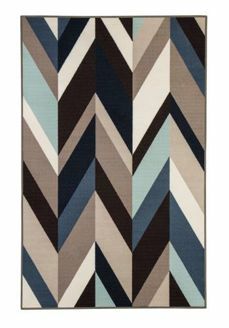 Machine tufted chevron design in shades of blue, black, gray and white. Polypropylene. Backed with cotton latex. 4mm pile. Dry clean only. Rug pad recommended.